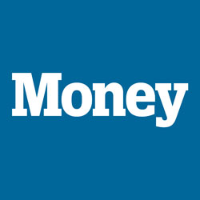 Heritage Financial Advisory Group’s Director of Portfolio Management, Mike Desepoli, is in Money Magazine this month in the article “The Death of Cool Equities”. The article was written by Taylor Tepper, and discusses some of the recent trends in the equity market. The article speaks about how in a fickle stock market, betting on what’s trendy has suddenly become risky business. Give it a read for some great investing ideas. Click the link below to read the article and let us know what you think! At first blush, the fact that Chipotle continues to sport an above-average P/E—after losing about a third of its value—may be a sign that investors still think it’s special. It also means, however, that the stock remains frothy. And now investors are beginning to wonder if the stock deserves to trade even at these levels. “We question why Chipotle of today should be valued like Chipotle of yesterday,” notes Deutsche Bank analyst Karen Short. While management has put into place safeguards to prevent another E. coli scare, “there is tremendous uncertainty on how well they will be received,” she says. Even before the health crisis, Chipotle was earning less per location than Shake Shack. Shake Shack forecasts profits will grow at a faster rate over the next five years, compared to Chipotle. The chain suffered as big a drop in consumer perception as General Motors did in 2014 when it had to recall millions of faulty ignition switches, according to the YouGov Brand Index. Another stock getting no love from the investment community is twitter. Following a brief one-month honeymoon after going public in late 2013, the micro-blogging site lost three-quarters of its value. Yes, Twitter boasts 305 million monthly active users, but today that trails Facebook (1.6 billion) and Instagram (400 million). Can you say #fail? For starters, Twitter is finally on the verge of turning an actual profit. That is a big step for a social media stock. Advertising revenue in the U.S. and internationally grew by almost 50% compared with a year ago. More companies are advertising on the platform than ever before. “We see Twitter as an opportunity in the making,” says Mike Desepoli of Heritage Financial Advisory Group in Port Jefferson, N.Y. The full article is on the web at Money Magazine.